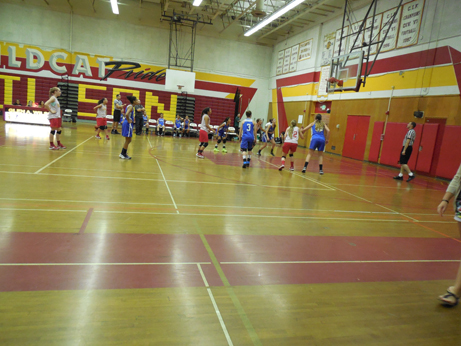 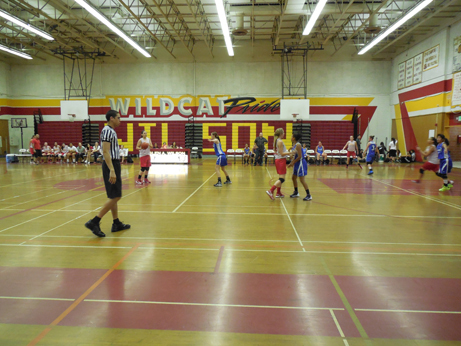 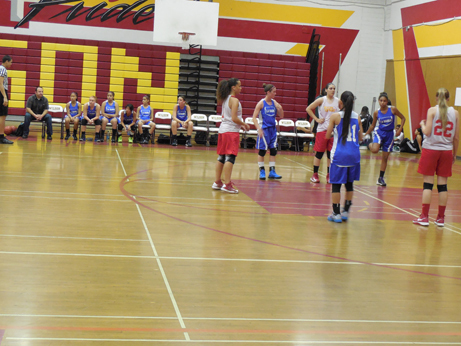 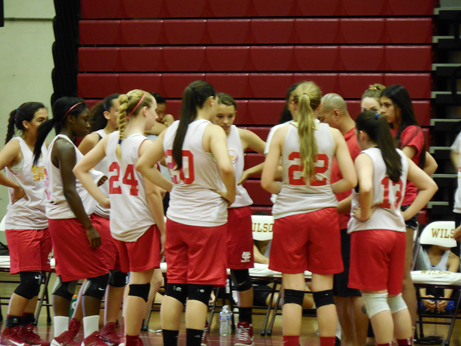 Whittier Christian at the free throw line. 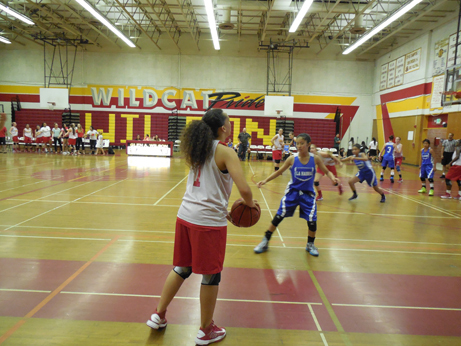 Whittier Christian defense slows down the drive. 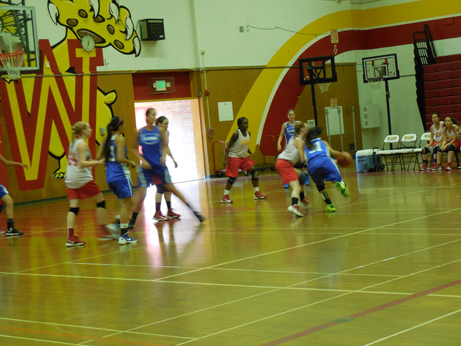 Whittier Christian bringing the ball down. 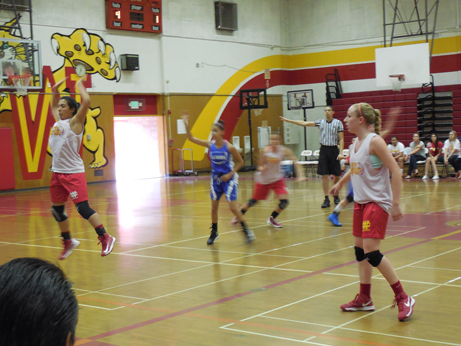 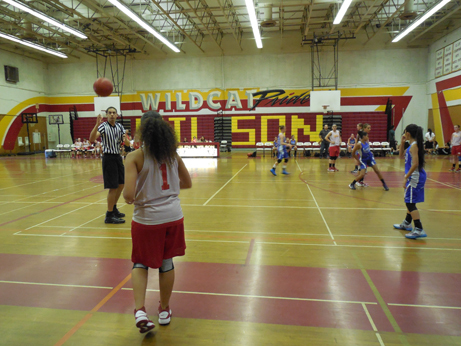 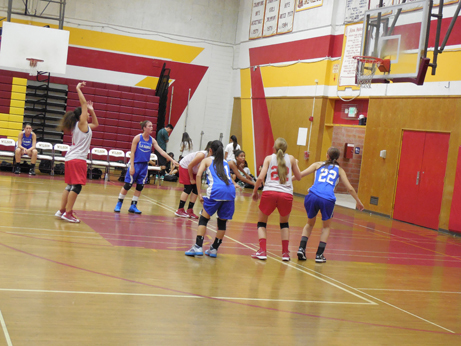 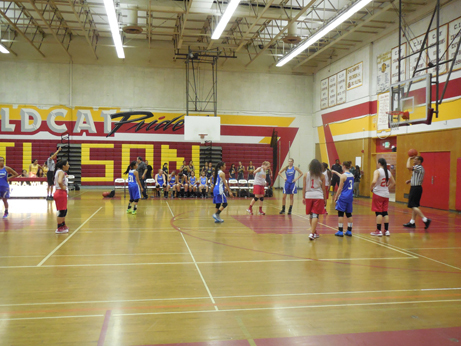 Whittier Christian hits a free throw. 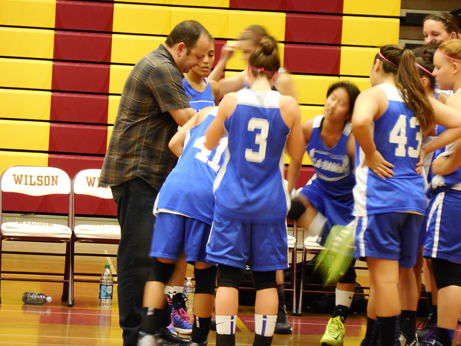 La Habra coach huddles in the final seconds. 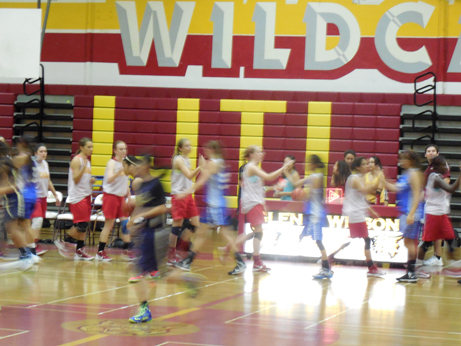 Whittier Christian coach rallies his team for one last shot. 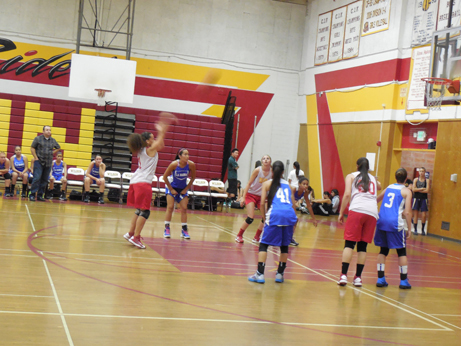 La Habra hits a key free throw to solidify the lead. 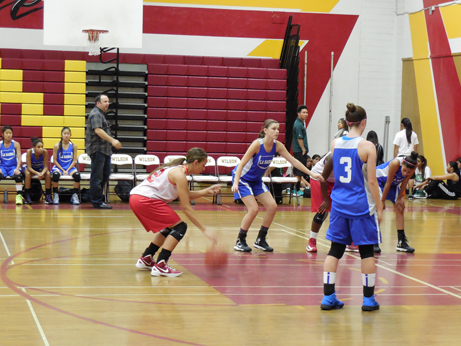 La Habra wins 31 to 27.